View of the Eastern Wall from Mount Olive looking over the Kidron Valley. margin cut on them, but the bosses have been cut smooth. the stone behind Galyn’s head is long on the outside, but the one above it runs long to the inside. 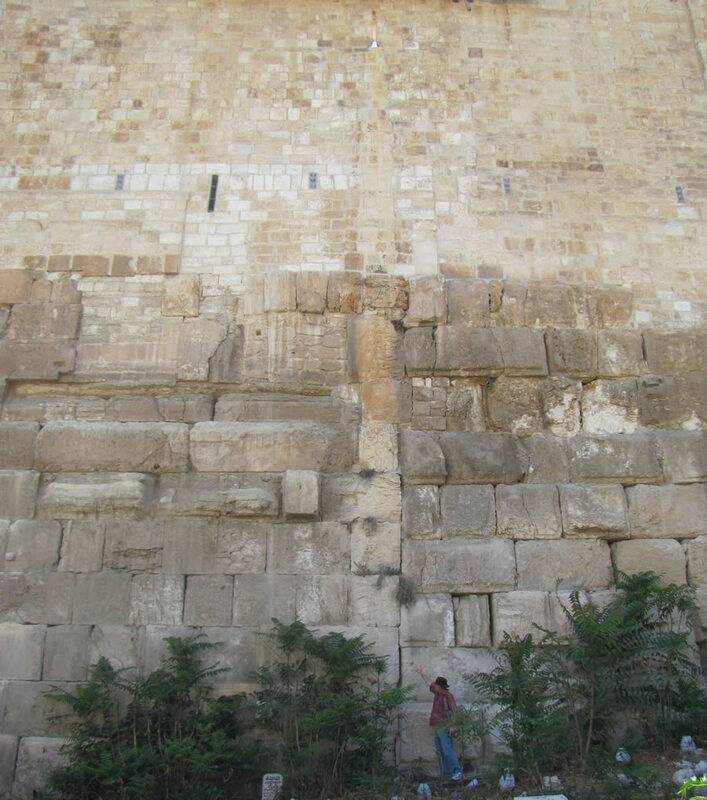 Notice that once the wall reaches about the ninth course the stones change and the seam is no longer visible. above the ninth course has been rebuilt by a variety of people with a variety of stones. 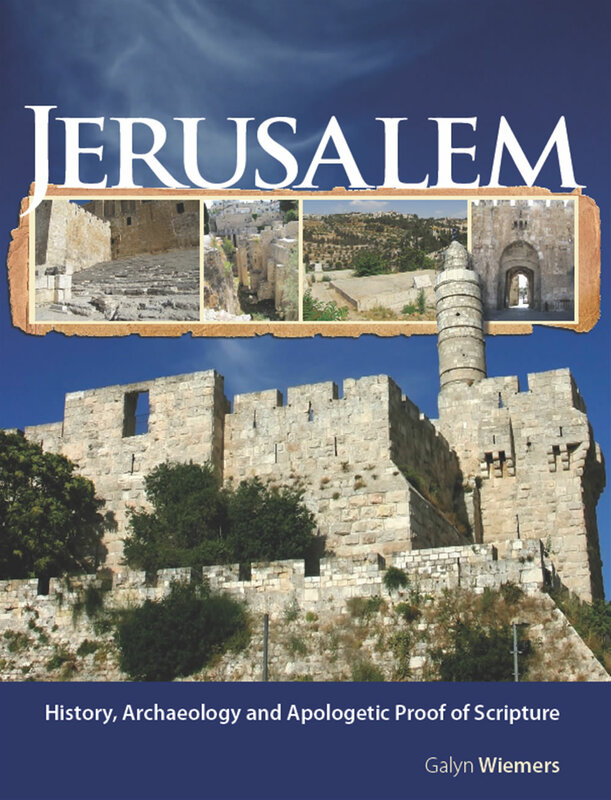 would be very similar in style to Robinson’s arch on the west side of the Temple Mount, directly opposite this one. projected ashlars to the left (south) of this photo indicate the position of a tower. The location of three windows in the tower can be seen in other photos. 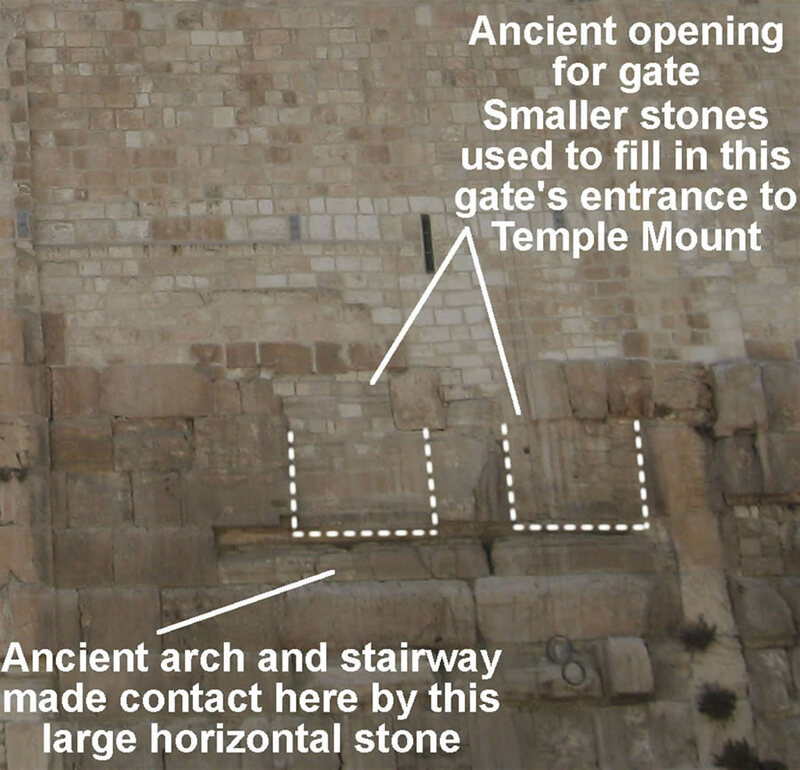 This is a close up of the wall above and the location of an eastern arched gate at the top of a stairway. 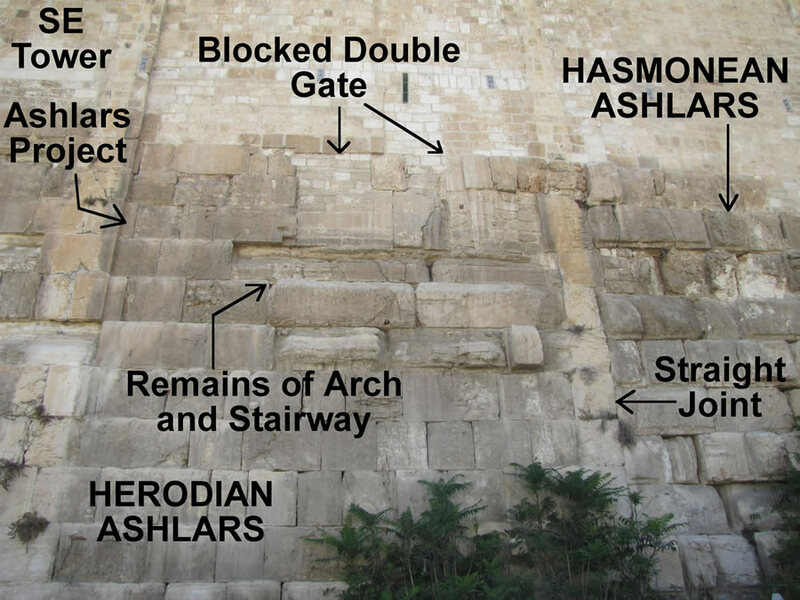 It can be thought of as the eastern wall’s version of Robinson's arch found on the west side. 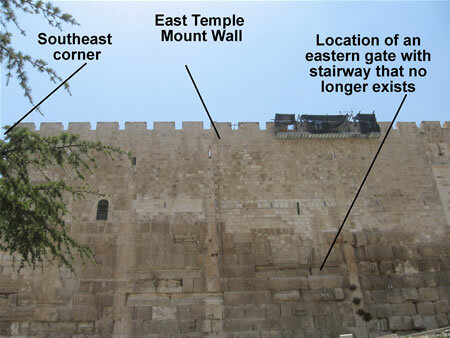 View of the southeast corner of the Temple Mount. high tower at the top of this corner. 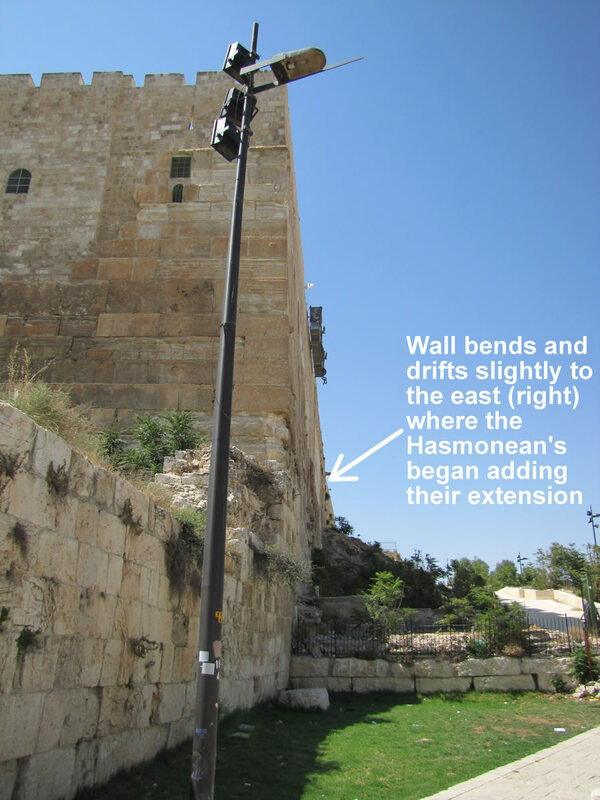 bends and begins to drift to the east (right) at the place where the Hasmoneans added onto the existing Temple Mount wall.